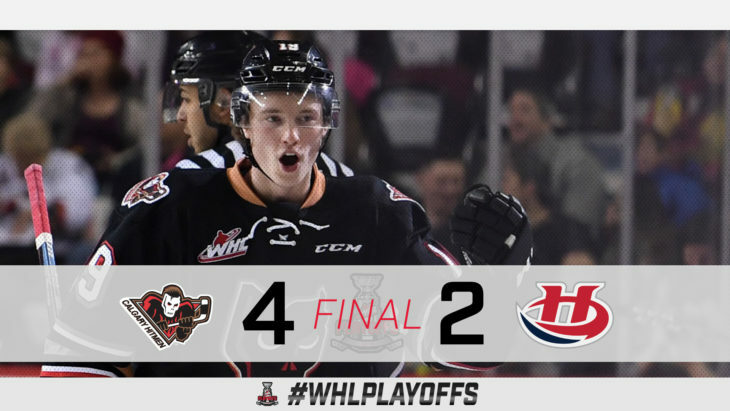 The Calgary Hitmen have advanced to the second round of the 2019 WHL Playoffs. 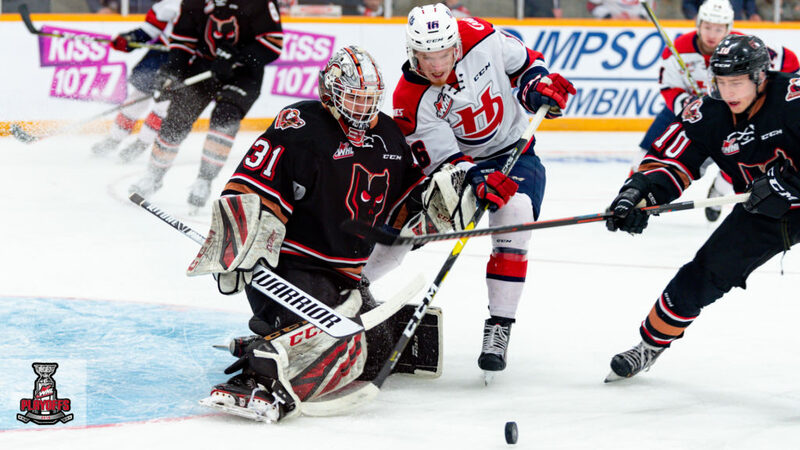 With a three-goal first period and a 25-save performance from Jack McNaughton, the Hitmen earned their second road win of the series they took a 4-2 decision over the Lethbridge Hurricanes Tuesday evening. Calgary owned the first period of the game as Carson Focht scored twice with Riley Fiddler-Schultz adding his first of the playoffs between those goals. As the first belonged to the Hitmen, the second was owned by the Hurricanes. Zach Cox and Alex Cotton answered back for the home side to bring them within a goal after 40 minutes. The game spilled into the third period where the Hurricanes pressed desperately for the game-tying goal. However, Jack McNaughton made nine of his 25 saves in the final period to keep Lethbridge at bay. Captain Mark Kastelic added an empty-net goal to secure the win late. Seven different Hitmen skaters picked up a single assist in the win.